This tip is complements of Mr. Frugalfish. He is pretty handy in the kitchen and when French fries are on the menu, I usually try to get him to fry them. He decided to make “Country Fries” one night and got out the apple corer to cut the potatoes. It worked rather well! 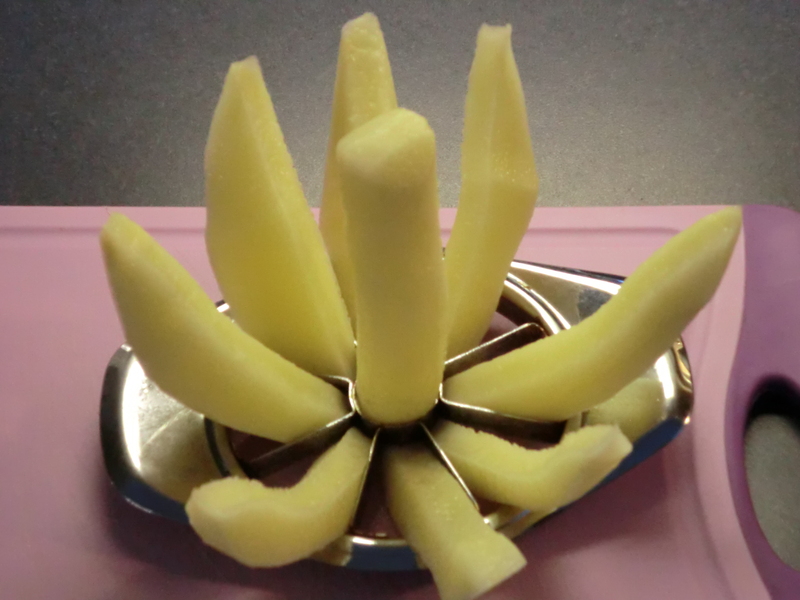 Apple corer cuts country fries. This entry was posted in Food, Make It, Money Saving Ideas, Use What You Have and tagged Food, Make It, Money Saving Ideas, Use What You Have by Frugal Fish. Bookmark the permalink.